The 40’ 1937 AAR Single Door Box Car is well constructed with high quality craftsmanship. Featuring accurate painting and lettering, this 40’ 1937 AAR Single Door Box Car captures the history and nostalgia of the real life model with great detail. The Atlas car is generally correct for P&LE 30000 - 30499, Lit 682-B, built 1940 by Pressed Steel Car in McKees Rocks, PA. 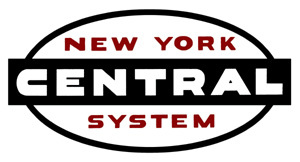 Lot 682-B were the very first forty-foot AAR box cars built for the New York Central System.